All accounts should be switched by July 1st as we will be closing down our previous online platform. We are excited about this opportunity as our new system will give us more options and the ability to streamline our online giving. If you don't have a previous account, then just click here to get started with our new online giving service! 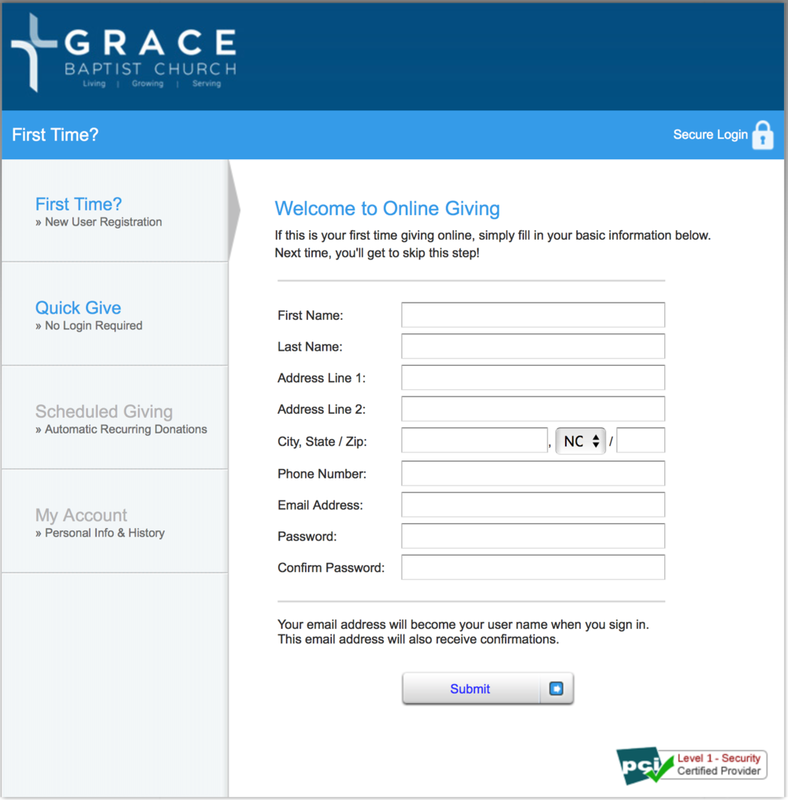 Step 1: Log in & click "My Giving"
Click here to log into your current account that is set up with reccurring gifts. Once you are in your account, click on "my giving"
Step 2: Click "Reccuring Gifts"
Once you are in "My Giving" you will see a tab for "Recurring Gifts"
Click the "Cancel Gift" button for any reccurring gifts you have set up. You should see the following screen to confirm that you have "No Recurring Gifts"
Shelby Next is our new online giving platform as well as our church information system. Click here to quickly register!